As summer transfer windows go, 2007 is unlikely to be one that many Premier League fans remember with much detail or fondness. Manchester United were the biggest spenders, splashing £77m to bring in Anderson, Nani, Owen Hargreaves and Tomasz Kuszczak to Old Trafford. Across the city, the noisy neighbours’ highest spend was on £11m deals for Vedran Corluka and Rolando Bianchi. The riches of Abu Dhabi that would transform both their transfer business and the league itself would not arrive for another year. In London, Arsenal’s biggest spend was £12m on Eduardo, Chelsea’s £17m on Florent Malouda. Tottenham spent £22m to sign Darren Bent from Charlton. Up on Merseyside, Liverpool began a love affair with a young Spanish striker by the name of Fernando Torres as he arrived in a £34m deal from Atletico Madrid. Meanwhile, across Stanley Park, Everton were getting acquainted with their own new star striker in Yakubu. The Nigerian would go on to impress in spells for the Toffees but it was the man who joined alongside him that would forge the greater legacy. He was not a free-scoring striker but a £6 million left back from Wigan Athletic named Leighton Baines. 11 years, 403 appearances, 38 goals and 66 assists later Baines has earned himself a place in Everton’s hearts. Ask them to name an all-time eleven and he’d be in it more times than not. Even the older heads, those who have seen title winning Everton teams, would put him up there with the best the club has had. As transfers go, his stands among the best the club have managed. There aren’t many that beat it for value in Premier League history either. And yet, it was a move that may not have happened. Had the doors slid the other way in the summer of 2007, Baines may never have ended up calling Goodison Park home. Earlier that summer he had found himself sitting in a Sunderland hotel facing up to Roy Keane. The Black Cats manager had chased the left back for the majority of the transfer window, relentlessly increasing his bids until Wigan finally granted him permission to discuss a move. Baines, out of respect, agreed to a meeting. “I met Leighton Baines at a hotel in Sunderland. He was leaving Wigan. We’d made an offer and it had been accepted. Knowing Keane and how accustomed he is to getting his own way, it’s easy to imagine he didn’t appreciate it at all. Evertonians did though. Perform a quick Google search of their favourite quotes about the Toffees and Baines’ is a regular alongside those from Howard Kendall, Alan Harper’s, Alan Ball and the rest. Calling yourself an Evertonian is not enough, though. 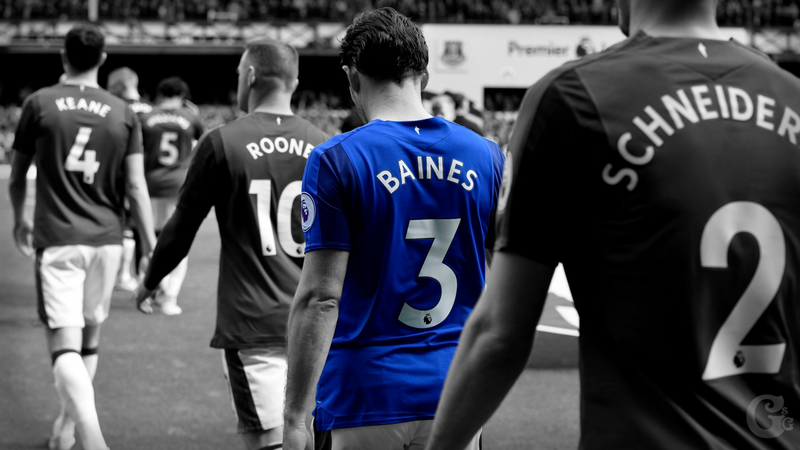 It is performances on the pitch that earn true adoration and in that regard, Baines has earned it many times over. To this day he remains the only defender in the Premier League’s history to reach 50 or more assists with the the 2012/13 season establishing him among the league’s best. That year saw him create more chances than any other player that season, registering 116 in total, a tally of 3.1 per game. That was more than David Silva, Juan Mata, Santi Cazorla, Steven Gerrard and Luis Suarez that season, to name a handful of players. It was also achieved despite playing left back for an Everton side lacking in creativity. The fact that Mesut Ozil and his tally of 146 in the 2015/16 season is the only player to better Baines’ numbers in the five years since stands as a testament to the level he reached that season. For further context, Kevin De Bruyne registered 106 key passes last season playing for a Manchester City side that ran away with the Premier League title and set numerous records playing football that, at times, was on a different level altogether. It was little wonder that Manchester United came calling the following summer. 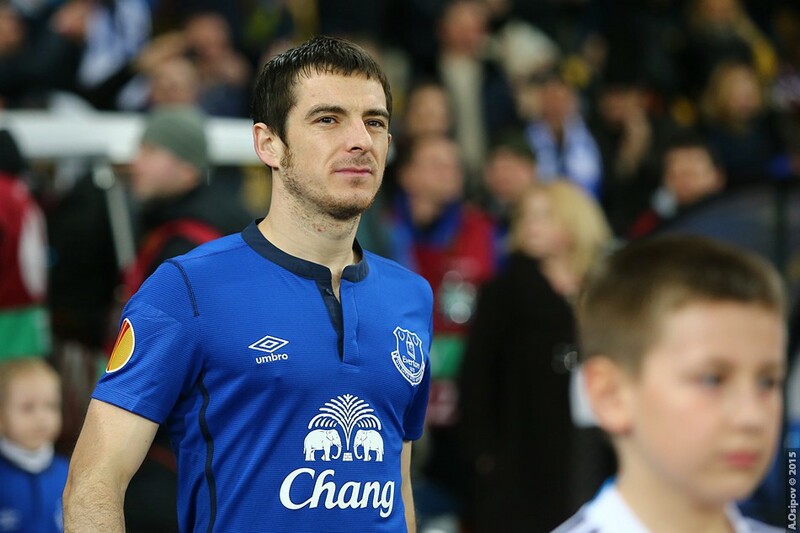 Baines had long been linked with a move to a bigger club and now one was showing firm interest. David Moyes had swapped Goodison Park for Old Trafford and wanted both Baines and Marouane Fellaini to follow suit. Having been named as Sir Alex Ferguson’s successor; the pressure was on him to live up to the legacy. He needed players he could trust and Baines certainly fitted that bracket. His performances the previous season showed he was of suitable quality too. There were plenty of reasons the move made sense for Baines. United offered a presumed push for the Premier League title as well as the opportunity to compete in the Champions League. Publicly, Everton said he wasn’t for sale. Manager Roberto Martinez claimed United’s bids were derisory and insulting but behind the scenes, there was an acceptance that the Toffees would sell for the right price. Afterall this was a club who had to survive by selling their best players over the years. Farhad Moshiri’s much-needed investment would not arrive for another three years. Only one of the pair ended up making the move up the M62 that summer and it wasn’t Baines. Fellaini was not hesitant in expressing his desire to leave Everton, putting pressure on the Blues to sell by handing in a transfer request to force through a deadline day move. In comparison, Baines sat on the fence, kept quiet and waited to see how the situation would unfold. He felt he would win whatever happened. Later, he admitted that had he been at a foreign club he maybe would have handled the situation in a different manner. His respect for Everton had ensured that he did not. He ended up being painted as the poster boy for those that believe loyalty still exists in the mindset of the modern footballer. Those that believe not every player is a Marouane Fellaini. It was not an image that sat well with him personally but he could not shrug it off. Evertonians were certainly left impressed. He had shown his loyalty and as a result, the respect they had for him was further strengthened. Absence only made it grow last season. Missing for 18 straight games last year, Baines’ injury issues left a hole that Everton could not fill. Cuco Martina was no replacement, nor was he ever likely to be, the maligned defender’s performances only helping to remind those watching they had been spoiled by having Baines as a regular in the side. So sorely was he missed that Everton have moved to ensure they are not left ruing his absence again in future. Lucas Digne has arrived from Barcelona this summer and for the first time in Baines Everton career, he has serious competition for his place. It is likely the Frenchman will win the battle to be Marco Silva’s starting left back. That leaves Baines facing up to a very frustrating final year at the club. Last season aside, it could end up being one of the most frustrating of his impressive Everton career. With just a year left on his contract, there is a fear that his time at the club may finish on something of a low. Only time will tell what happens on that front. What will not change is the respect he will receive from the Everton faithful. For them, he will go down as one of the best to have worn their beloved Royal Blue. A decade of top-level performances and an impressive loyalty to their club have made sure of that. Football journalist working in the North West of England.